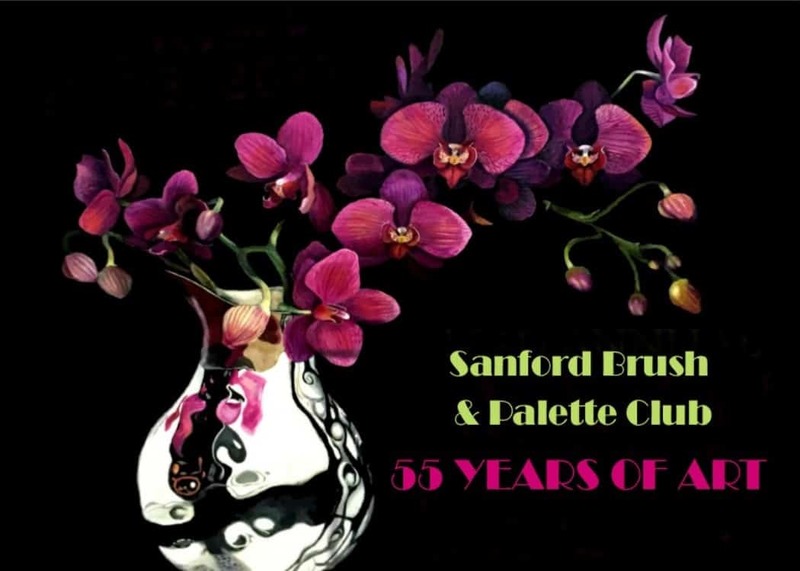 A new exhibition featuring artwork by the members of the Sanford Brush & Palette Club (SBPC) opens April 5th at the Campbell House Gallery, 482 E. Connecticut Ave., Southern Pines, NC. An opening reception hosted by the SBPC with wine and light hors d’oeuvres will be held April 5, 6-8 pm. The gallery and reception are free and open to the public. Regular gallery hours are Monday through Friday 9am until 5pm. The “SBPC 55 Years of Art” exhibition is presented by the Arts Council of Moore County; it will remain on display from April 5 – 26, 2019.